We inhabit a “water planet” where almost 70 per cent of its surface is covered by water, out of which less than 2.5 per cent is freshwater. Of this small portion, 2.24 per cent is inaccessible (polar icecaps, glaciers and deep underground water) and only 0.26 per cent is accessible in the forms of lakes, aquifers and rivers (WMO/UNESCO, 1997). Freshwater ecosystems have a higher species density than either terrestrial or marine habitat and of the globally known species, 2.4 per cent live in freshwater habitats. However, this critical resource is under great threat than any other habitats. During recent decades, at least 20 per cent of the world’s 10,000 freshwater fish species have become endangered, threatened with extinction, or have already become extinct. 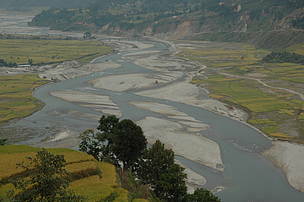 Recognizing that we are on the brink of a water crisis, WWF is working globally with its partners on a shared approach managing rivers and wetlands, redirecting harmful infrastructure, curbing water waste in agriculture by seeking better management practices and promoting poverty reduction compatible with environmentally strong water policies. Climate change is a global threat and has become the biggest challenge for us. 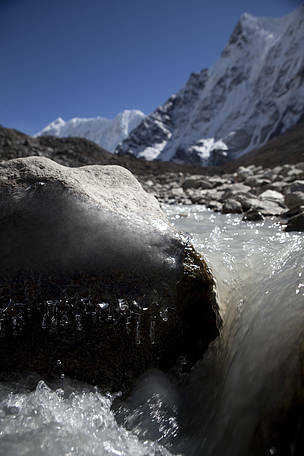 GOAL: BY 2021, FRESHWATER ECOSYSTEM INTEGRITY IS MAINTAINED THAT SUPPORTS NATURAL DIVERSITY, CLIMATE RESILIENCE AND HUMAN WELL-BEING IN THE MAJOR RIVER BASINS OF NEPAL ALONG WITH TRANS-BOUNDARY CO-OPERATION.